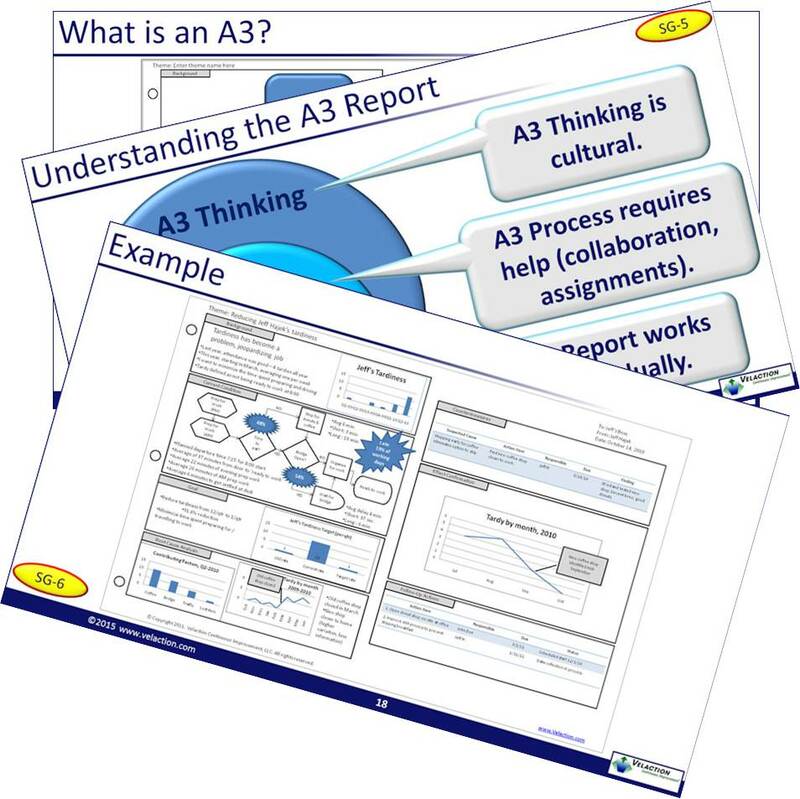 Most people think of the A3 report as step-by-step problem solving storyboard depicted on an A3-sized piece of paper (roughly 11 x 17 inches). But A3 thinking is far more than just a problem solving methodology. Sure, it focuses on using the PDCA cycle to find a good solution, but its real power lies in the communication and coaching it enables. The structure of the A3 process provides leaders a consistent, repeatable methodology to mentor their subordinates on how to go about not only figuring out what is wrong, but also what to do about it. In this way, leaders help their team member solve the current problem, but also develop their solution-finding skills. Not only does this make employees more effective at their current job, but it also helps to identify and cultivate the future crop of leaders for the company. The A3 report is also effective when there is not a formal hierarchy between the people involved. Because of the structure it takes to complete an A3 report, it is hard to challenge the leader of a project without facts and data. Peers exhibit a great deal more confidence in the problem-solving approach when they have an 'at-a-glance' way to see the methodology that was used to create the new process. A3 Thinking Fundamentals materials are included in the following value packs. They are also include in the Independent Study Pack and the Instructor Pack listed below. Contains instructor materials, videos, and audio for Phase 6. Contains instructor materials for modules from Phase 6. Contains corporate license for video from Phase 6. This product contains the DVD in Phase 6, "Keeping Momentum", of our Lean Training System. Contains corporate licenses for audio programs from Phase 6. Contains reference materials from Phase 6. Download option available.